Everyone Poops at the Poop Cafe! Asia is well know for its fun themes cafes. We have already introduced you to the Dog cafe and Cat cafe, but this cafe really takes the cake…well really the poo. 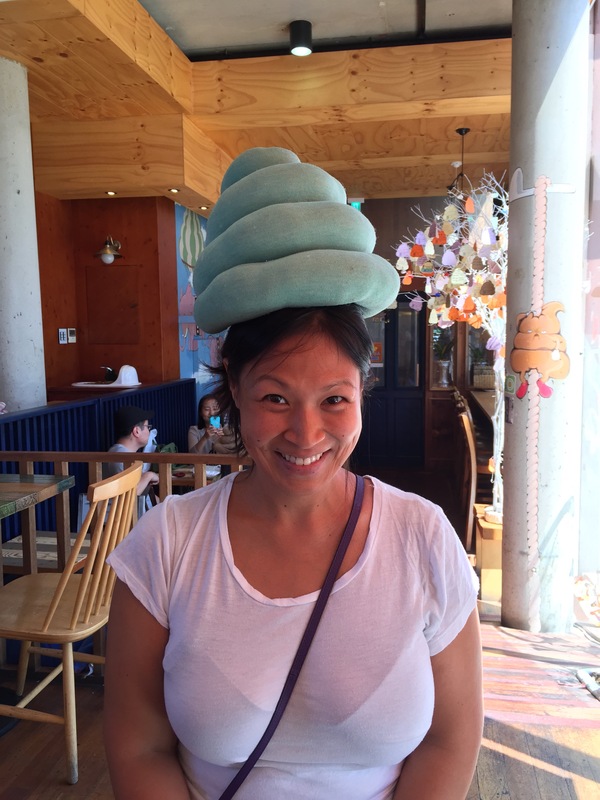 Welcome to Ddo-ong Cafe, a place where it’s perfectly normal to drink out of a toilet bowl, eat off a toilet themed plate and wear fabric poo swirls on your head! 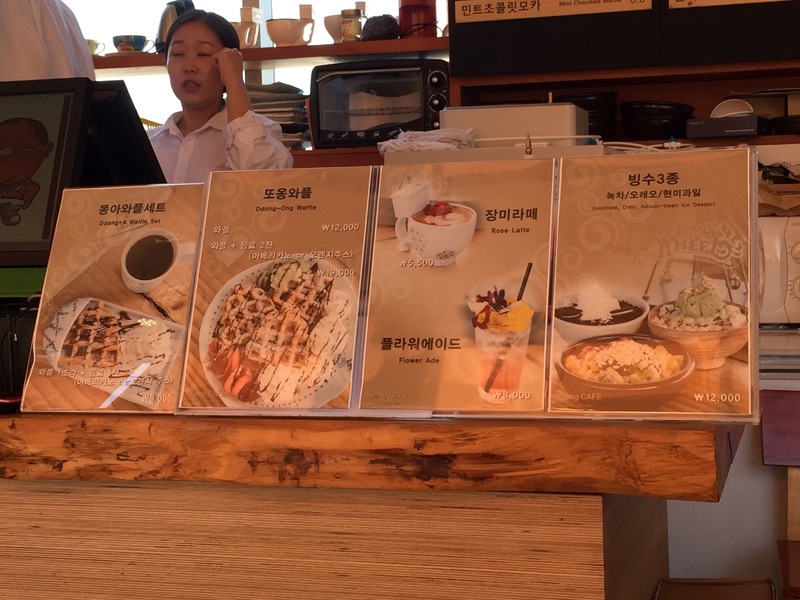 It is located in the Ssamziegil shopping center that is located in the heart of Insadong. Ssamziegil boasts a ton of cute shops full or eclectic goodies and the Poo Cafe is no exception. 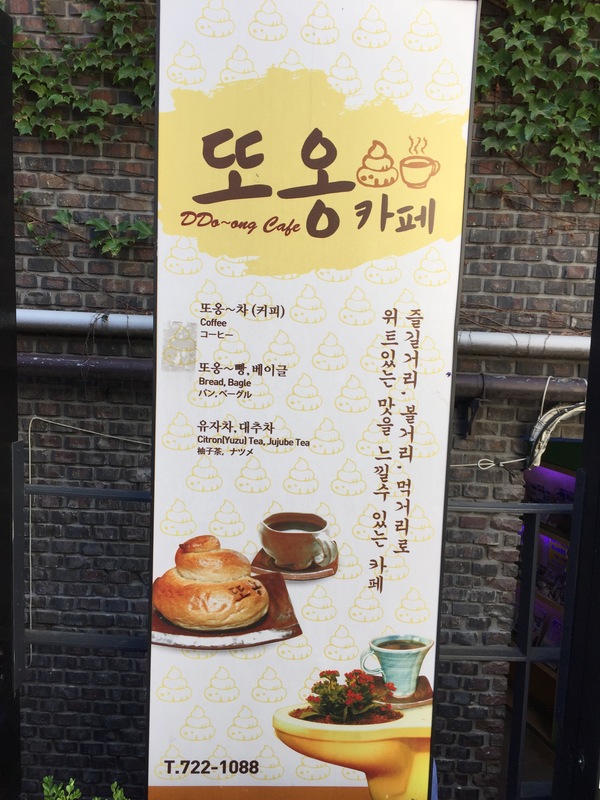 Here is an advertisement for the poo cafe. They have quite the extended menu! 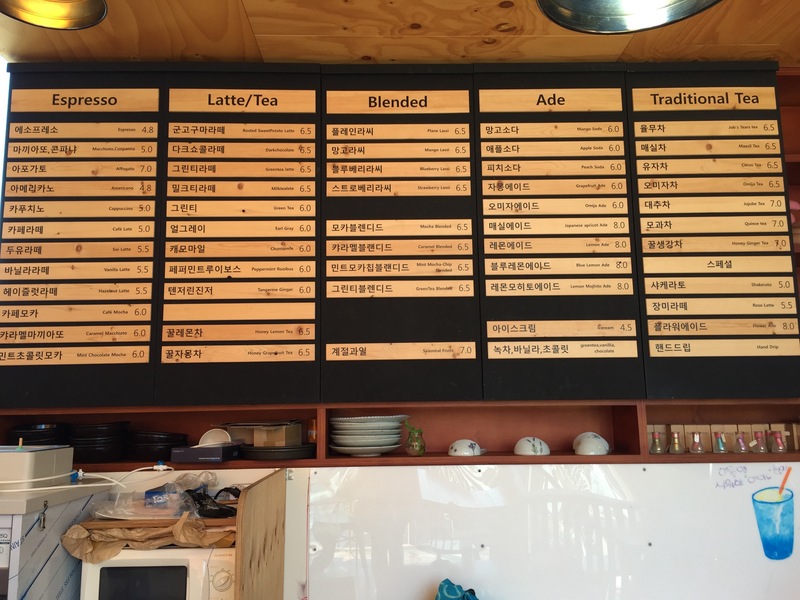 Note that not everything comes in a toilet bowl mug, just the hot drinks. 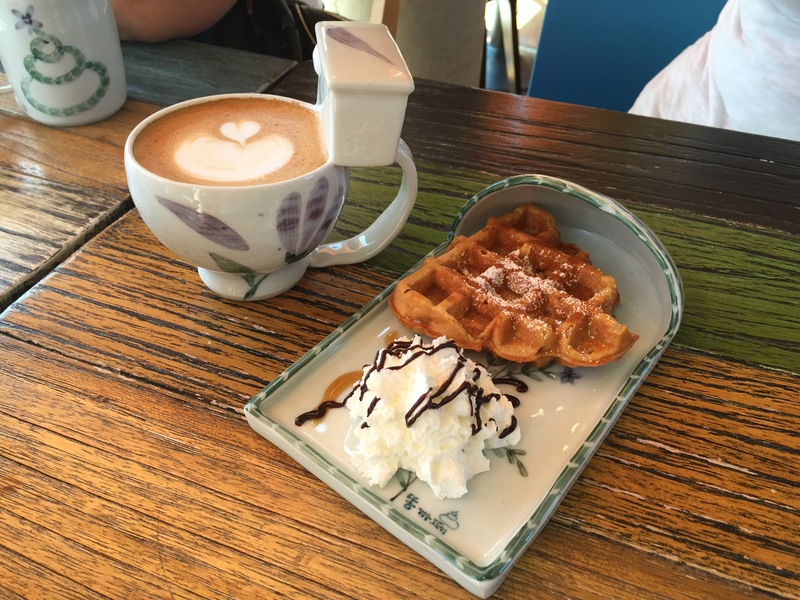 I recommend making sure that your drink comes in the toilet bowl mug. Here is all of our poo themed food and drink. Everything was pretty tasty. 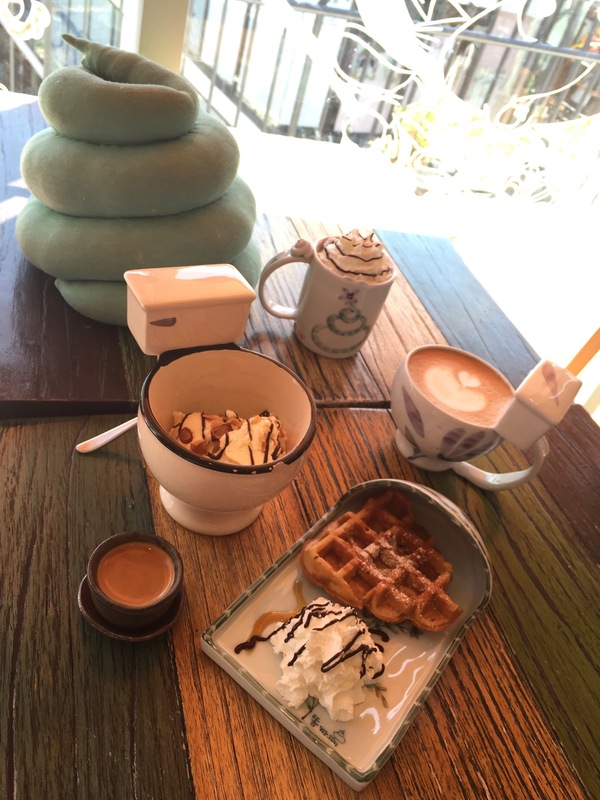 If you’re in Insadong and looking for a good place to rest up or just looking for a few good laughs, this place really fits the bill. You can sit on the throne as long as you like and soak in the ambience!